Melbourne Guitar Makers Festival is a weekend exhibition celebrating handcrafted guitars from some of Australia’s finest independent luthiers. Melbourne Guitar Makers Festival is an opportunity to see and play some beautiful handmade guitars, and meet the people who make them in an intimate setting. These instruments are seldom seen in shops, and the workshops of the makers often off the beaten track. To have a range of guitars and makers together, and available for a whole weekend is a rare thing in Ausatralia. The 2009 showcase was a great success and organisers are keeping that concept for 2010. Melbourne Guitar Makers Festival is held at the Abbotsford convent 22nd and 23rd May 2010.
ï»¿ï»¿ Gruhn Guitars has taken on distribution of Duff Mandolins. 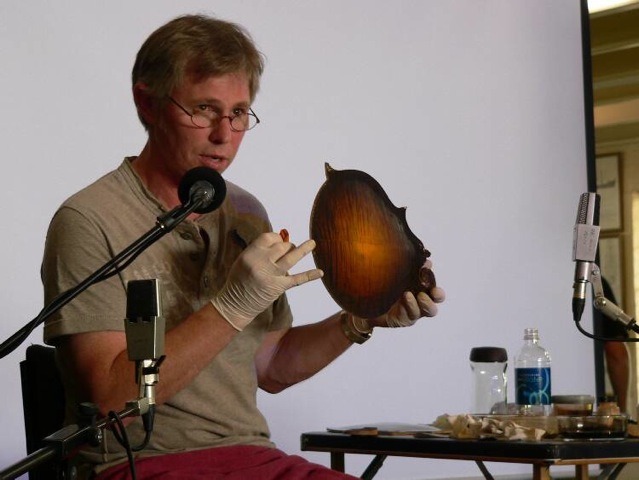 Western Australian luthier Paul Duff will now have his highly sought after instruments available through one of the worlds most notable instruments dealers in Nashville Tennessee – Gruhn Guitars. This makes Duff Mandolins available through three USA music outlets including Elderly Instruments and Mandolin Central. Paul told us of his recent experience while on tour with Bluegrass Parkway last year where George Gruhn bought one of Paul’s instruments. In fact he purchased the very mandolin which Paul was using on tour.Â George fell for the instrument after hearing it and offered to take it after Paul had finished the tour. Paul delivered the instrument and it sold within a few weeks. George then bought another which was shipped to the USA just prior to the IBMA annual showcase. Four days later, that one sold too. 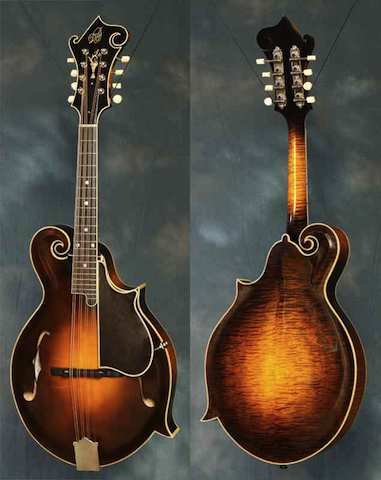 Gruhn Guitars has since purchased a further two mandolins which they have taken delivery of and has agreed to become one of three Duff Mandolin distributors in the USA. 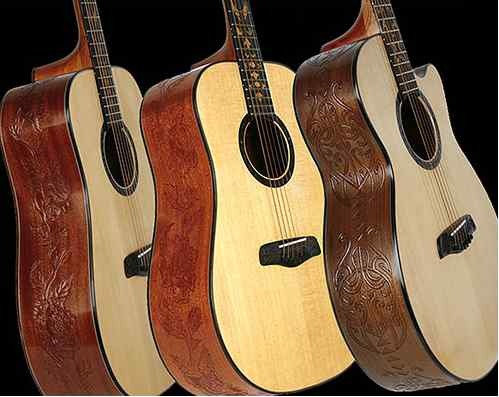 Gruhn Guitars claim to always have the world’s premier collections of vintage and used fretted instruments. 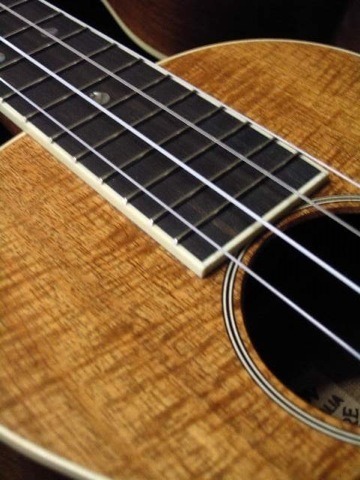 Further, Gruhn Guitars also claim that if youÂ need information or advice about buying an instrument, their sales staff are one of the most knowledgeable and experienced in the vintage world. American Made Banjo Co. has announced the release of their own vintage style banjo hardware, manufactured to authentic prewar specifications and made in the USA. 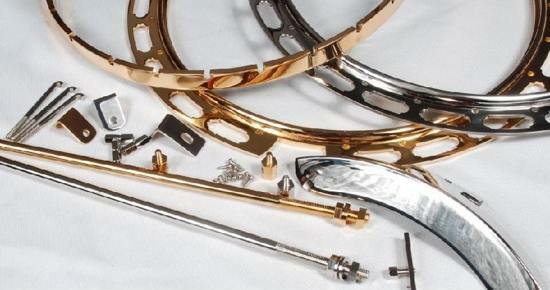 The hardware is available in Nickel or Gold over Copper plating and can be purchased as a complete kit or individual parts. 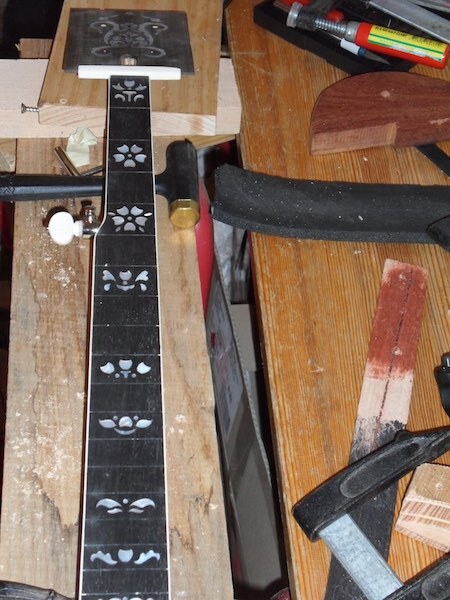 Over the past few years we have spent numerous hours analyzing, building and trashing prototypes in an attempt to get closer than anybody making 100% authentic 30’s style banjo hardware Made in the USA. From the accurate PW thread design of our hooks and nuts to the exact plating process & color of a new instrument part from the 1930’s, we feel we covered everything – Thomas Mirasola, American Made Banjo Co.
For many years, Dan’s stage guitar has been a 1946 Martin D-28. 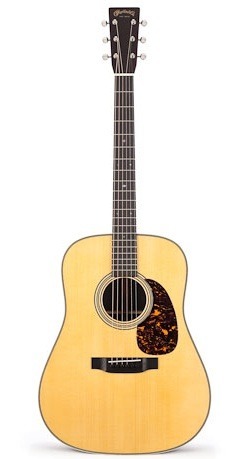 However, his growing concerns about continuing to take it on the road and his desire for a Dreadnought designed to meet his personal needs brought Dan and the Martin Guitar Company together to create the new Martin D-28 Dan Tyminski Custom Edition. Tyminski makes his namesake Custom Edition his own with distinctive details sure to appeal to flatpickers. Scalloped 5/16″ Adirondack spruce top braces cross in the non-forward “rear-shifted” position to provide uncommon balance and clarity. Special 2 1/4″ string spacing at the bridge and hand polished bull nose (i.e., rounded) fret ends speed both strums and runs. Aaron McDaris Signature Banjo is a Mahogany Don Reno Style 75 Kel KroydonÂ® Banjo. It features a hand picked aged mahogany neck with AMB’s Centaur cut peghead shape, 20 hole Dannick tone ring, nickel plated hardware with Reno Style inlay on a Rosewood fingerboard. Combined with the set-up knowledge of Charlie Cushman along with the impeccable craftsmanship of Robin Smith, Aarons banjo is one of the finest 5 string banjos made today. In 1997,Â Aaron toured withÂ a local band named Second Exit that soon became SPBGMA’s international band champions. 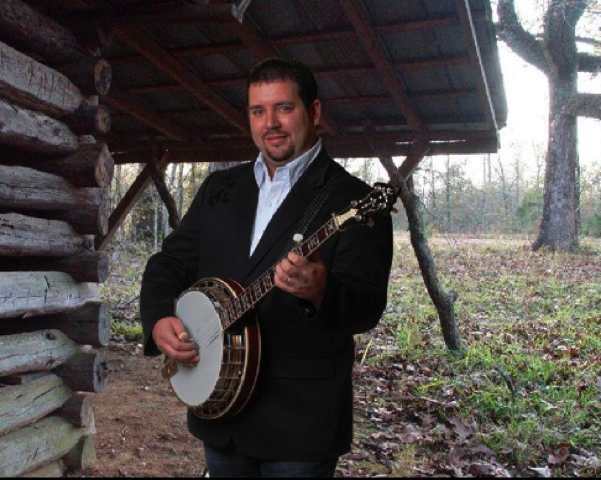 This exposure allowedÂ him to get an audition with and land a job with national band, the New Tradition.Â From the New Tradition Aaron moved on to the Larry Stephenson Band, theÂ multi-award winning band the Grascals and is now playing withÂ Rhonda Vincent and the Rage. 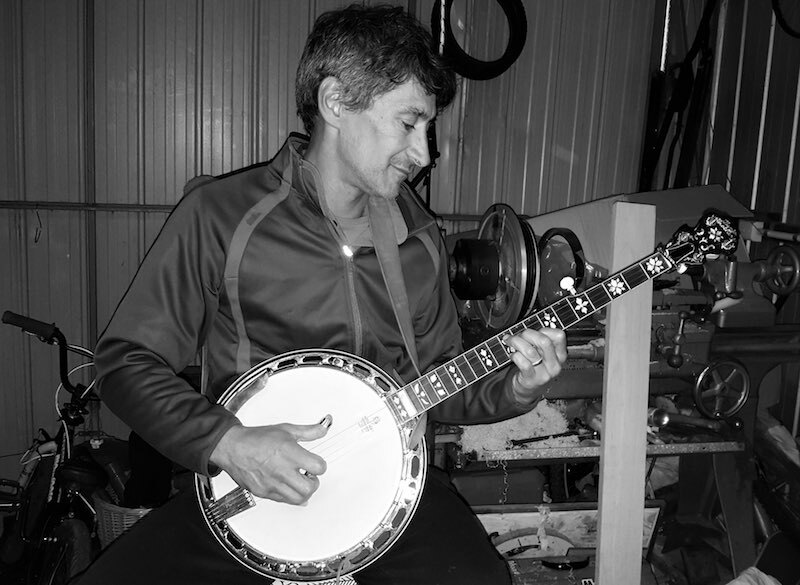 Deering Banjo Company is seeing the beginnings of a new wave of banjo interest around the world as well as a renaissance in banjo making that is very exciting according to Greg and Janet Deering. Besides just making and selling banjos, one of our goals has always been to return the banjo to it’s prominence it once enjoyed when it was the #1 most popular instrument around the world. Spreading the shear joy of playing the banjo so that many more can experience it, seems in our minds a worthwhile effort. Now more than ever our world could use a little relief and that’s one of the things the banjo has always provided. We hope you agree and will take just a moment to answer three questions. Your opinions are important in helping us to better understand what it will take to expose more people to the banjo and keep this interest growing – Greg and Janet Deering. 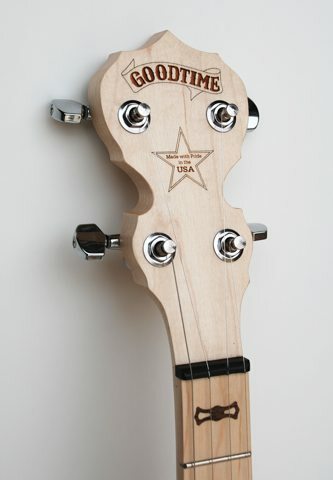 Deering Banjo Company has recently announced significant changes to their Goodtime banjo range. The Deering Goodtime Openback and Resonator models now sport a new shape peghead with new engraving, while the neck now displays a new style of walnut inlays and the the pot, a 3 ply maple rim. Goodtimes now also come with a six year warranty and most of all the price has not changed. 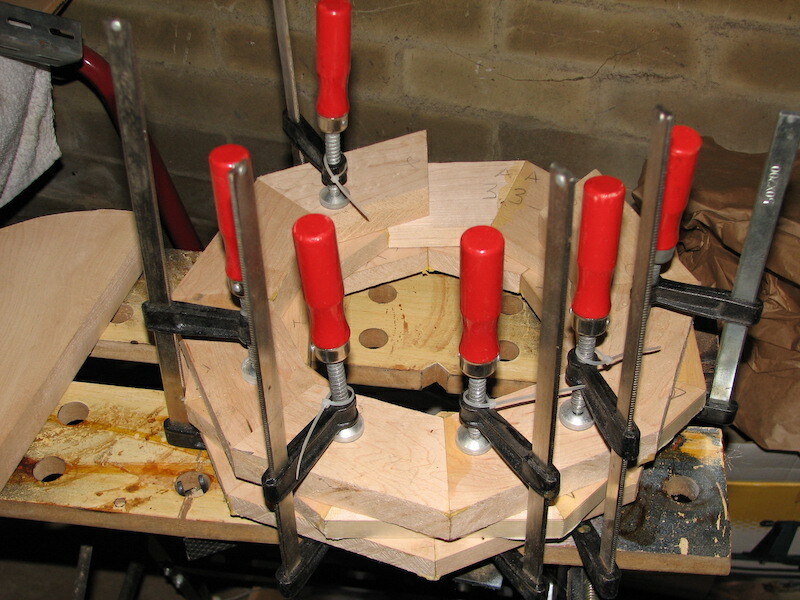 Up until now 3-ply maple rims could only be found in banjos 3-5 times the price. Auction scheduled for the 14th May 2009. Blueberry Guitars will be placing 25 of their hand-made and hand-carved guitars on eBay auctions. Each guitar will be online for viewing for 10 days, will have a starting price of 1$ and will be sold to the highest bidder. Examples of the current Blueberry guitar models that will be on auction include brand new Dreadnoughts, Grand Concerts, Parlors, Classicals, Grooves, Groove Hybrids, Jumbos & Split Tops. Examples of the solid woods they use are: Balinese Rosewood, Balinese Koa, Tasmanian Black Wood, Mahogany, Canadian Cedar and Alaskan Spruce. Each guitar offered for auction is covered by the Blueberry lifetime warranty and each guitar will be delivered in a Blueberry hard shell case with a humidifier. A seven day â€œno questions askedâ€ full refund policy is in place. Shipping chargeÂ for USA and Canada isÂ $75.00 USD – all other international destinations will be charged $150.00 USD for transport – duties and taxes are not included outside of USA and Canada. For more than 85 years the Gibson banjo has been at the forefront of such musical genres as country, bluegrass, Celtic and now country-rock music. The Gibson banjo has been available in many great many classic models through the years, none more revered than the pre-war RB-75. Gibson Original Instruments have announced the very limited release of RB-75VL Custom Banjo. The new model is finished in Gibson’s vintage lacquer formulation, and purports to capture the tone and look of the most classic and sought after pre-war Gibson banjos. The new Limited Edition RB-75VL Custom Banjo is classic Gibson’s Masterone-style design of the mid 1930s. The RB-75s of that era were used by such major artists as Curtis McPeake to J.D. Crowe to Sammy Shelor, and the model shares popular tonal features such as the flat-head tone ring and one-piece flange that contribute to the sounds of other Gibson models used by bluegrass revolutionaries such as Earl Scruggs and Don Reno. Only 15 of these prized banjos will be produced, and each one will comes with a shaped Gibson hardshell case and a Certificate of Authenticity.